Athens is mostly famous for its ancient monuments and its cultural highlights. But it’s also the only Mediterranean capital with a long coast of natural beauty with golden sandy beaches. The Athenian Riviera and the beaches of the larger Attica region offer a vibrant summer beach life and can compete with the Greek islands. The lack of heavy industry and Greece’s natural beauty created a clean and tropical coastline suitable for summer holidays. You can easily combine a cultural vacation in the Greek capital with summer beach days on the Athenian Riviera or on Athens East coast. Check out our guide to how to spend 4 days in Athens. L’amico Beach Club is located in Anavyssos, a quaint fishing town with a long and wide sandy beach. This beach club features an Italian restaurant, a private VIP beach area with gazebos and personal service and a beach bar. The sea is shallow and safe making this beach club family friendly as well. L’amico often organizes beach parties, sushi nights and other events making it a fun place to be during your summer holiday in the Greek capital. 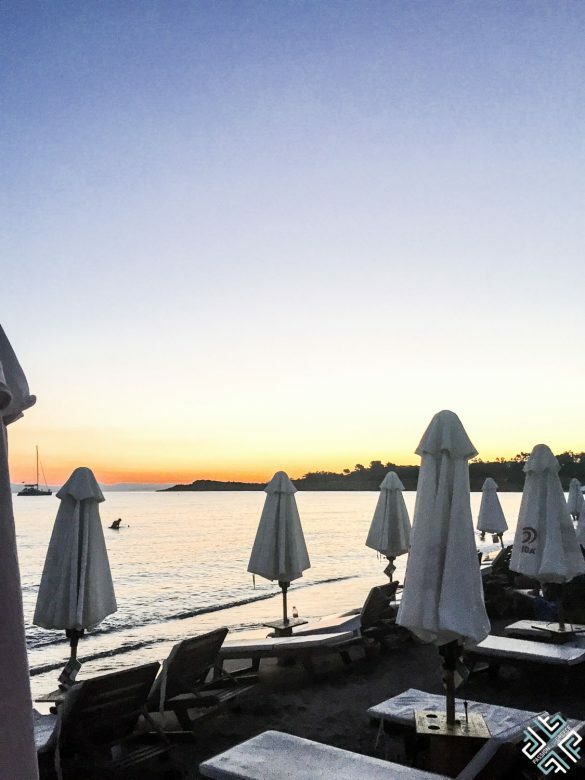 Akti Vouliagmeni is a large private organised sandy beach of 650 meter with turquoise waters and white umbrellas giving you the ultimate island feel.The beach is located in a bay offering stunning views, especially at sunset. There is a nice Greek tavern on this beach where you can eat fresh fish and the sea is safe for young children. 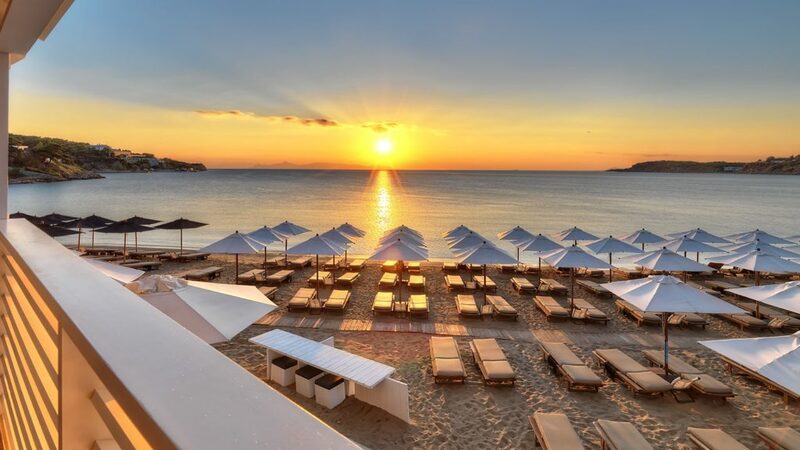 Astir Beach Resort is a unique top notch beach club near the city attracting both local celebrities and Greek high society figures as well as foreign visitors to Athens and families. Elegant in design and decor and located in a beautiful green bay, this beach may be one of the most beautiful and exclusive on the Athens Riviera. This club also features a spa, several bars and restaurant and VIP area. 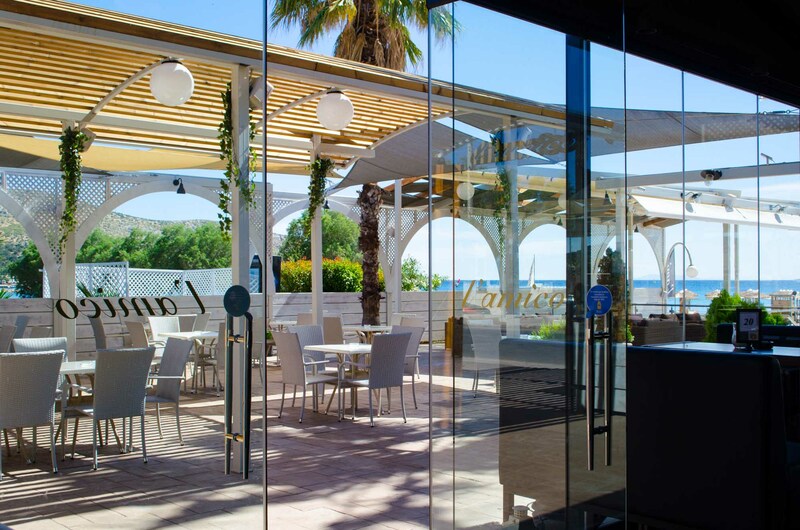 Balux Seaside offers a complete all- in- one concept of a beach, a swimming pool, cafe restaurant and bar. 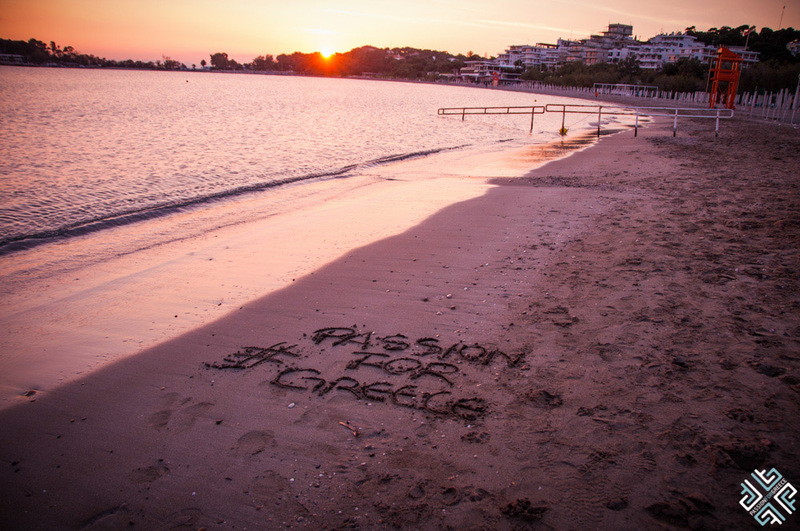 It is located in the hip town of Glyfada which is easily accessible by public transportation. Balux offers (loud) music all day long and a trendy restaurant with steaks, sushi & burgers. 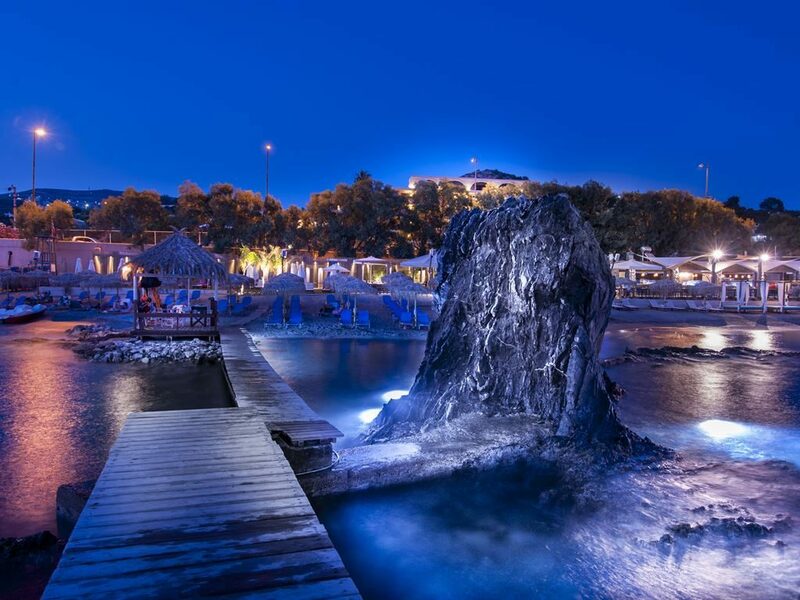 On warm Greek summer nights this beach club becomes an evening venue with DJ parties and other special events to keep you going all night long. Kids are not allowed at the pool. 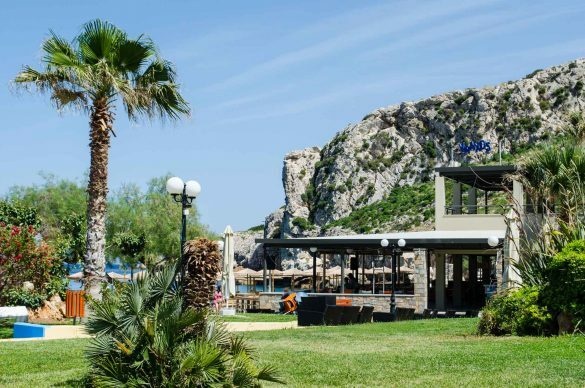 Boosting a privileged location across the Athenian coastline in between the rocks, Eden beach resorts is one of the best beaches near Athens and offers a cozy private feel, crystal clear waters and breathtaking sunsets. The Eden Beach Resort is a private beach belonging to the hotel with the same name so if you are not a guest of the hotel, an entrance fee applies. 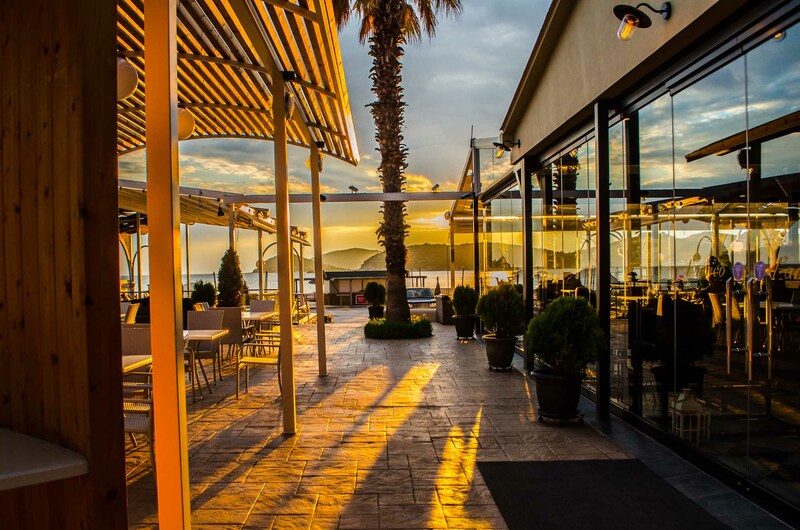 The beach features a beach restaurant offering old-time Greek Classics with a modern twist. The small rocky private beach of the Divani Apollon Palace & Thalasso hotel in the area of Kavouri is small but really resembles a Greek village beach. 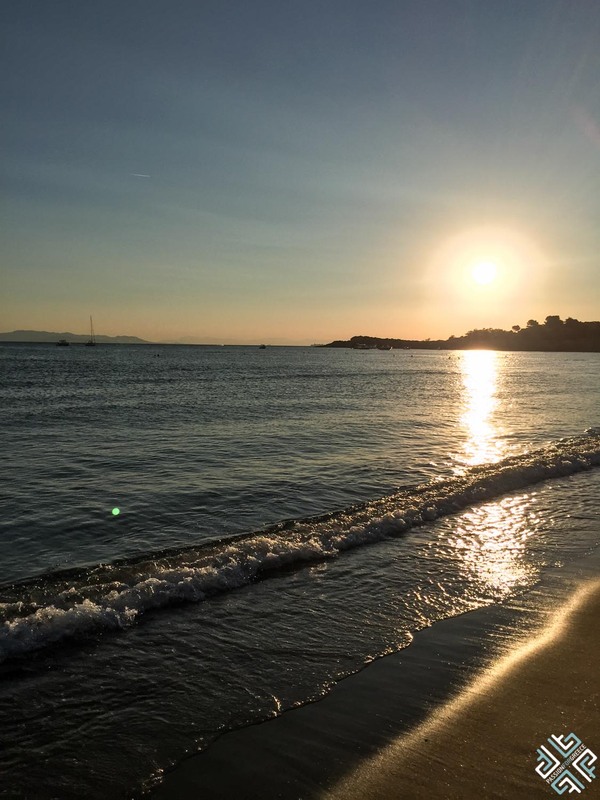 At a distance of only 25 minutes from Athens city center, this beach is perfect for people looking for peace and privacy. If you are not a guest of the hotel, an entrance fee applies including sun loungers, towels, an umbrella and VIP service. The beach is connected to the hotel and the hotel pool area by an underpass. 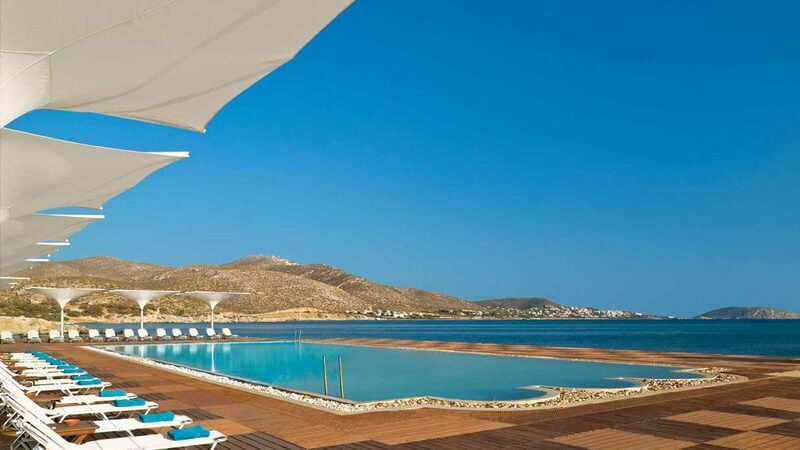 The largest and most complete family-friendly luxury beach club in Athens can be found at Lagonissi Resort on the Athenian Lagonissi peninsula. 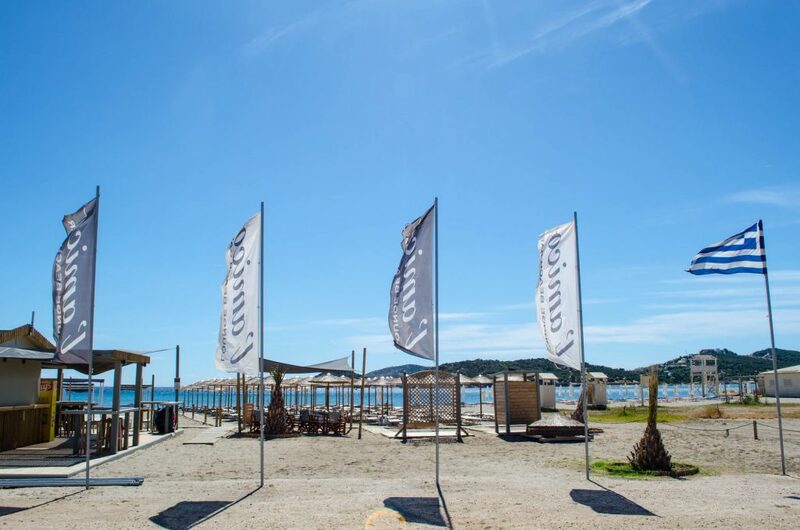 The beach club features a huge sandy organised beach with separate VIP area, service in your umbrella with an alarm button, a swimming pool, playground, beach volleyball and a restaurant right on the beach. There is a special baby area and babysitting available. Mavro Lithari is the blue flag beach area in between the villages of Anavyssos and Saronida offering sandy and rocky beaches, several beach small (alternative) bars and a nudist beach. 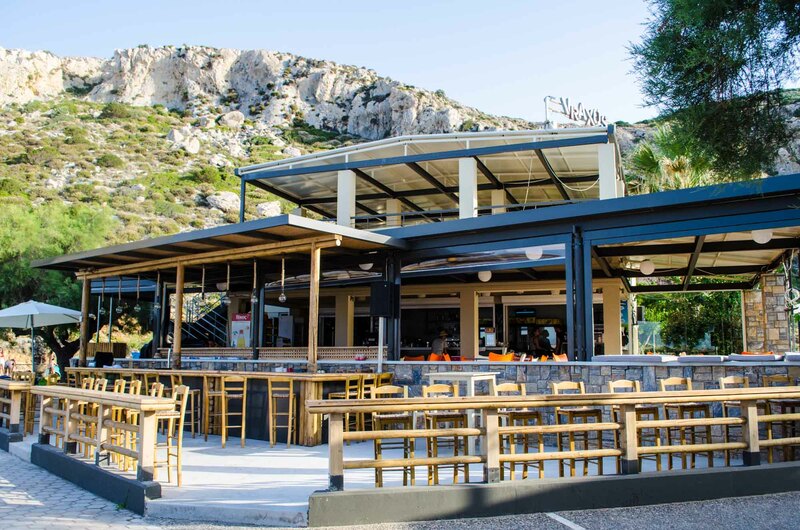 The most organized part is the Mavro Lithari Beach Club featuring a bar with loud music, bathrooms and an organized beach with loungers and umbrellas. No entrance fee here. The easiest and quickest way to get from the city center to Voula Thallasea Beach is by tram. This organised private beach is inexpensive, clean and scenic and ideal for kids and families. There are water play toys and the sea is shallow. 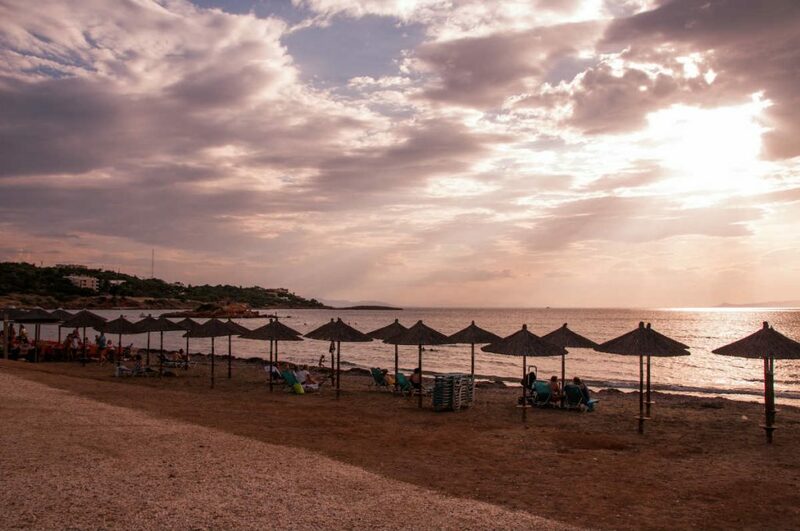 Voula Beach also features a small shop, bathrooms, lounge chairs and umbrellas. A great budget solution near the city. 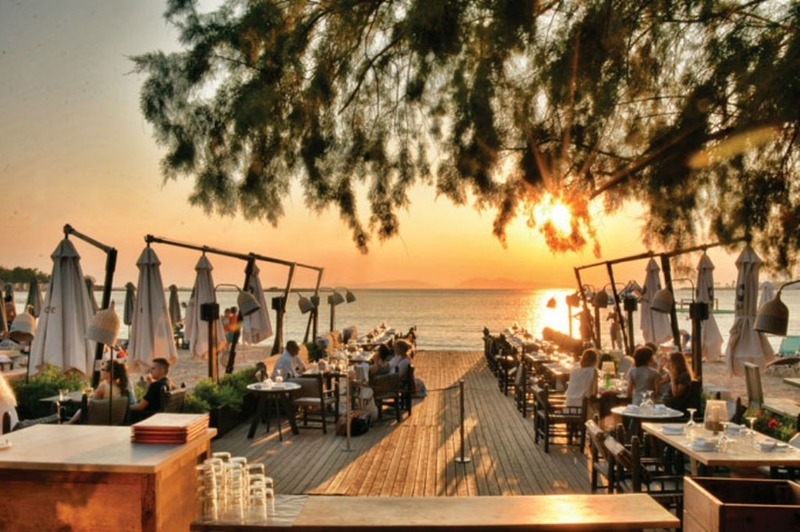 This beach club is located on the beach of ‘Kakia Thalassa’ on the East coast the Athenian peninsula. 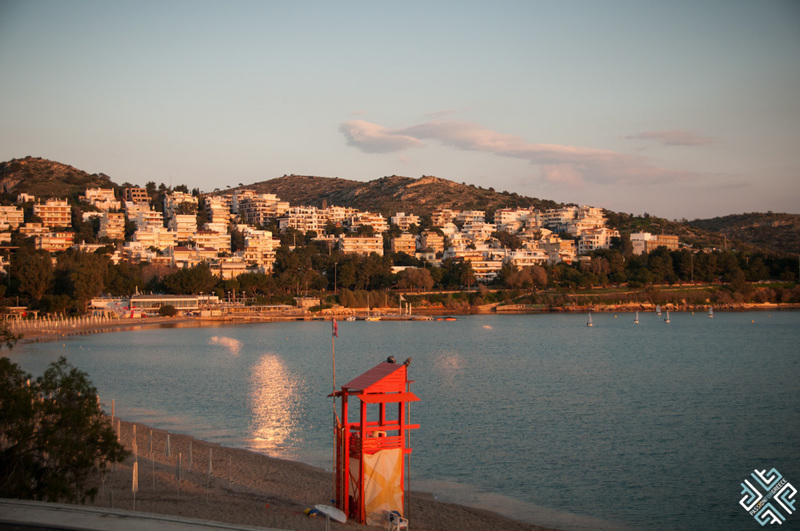 Here you will forget that you are actually relatively near Athens city. The beach club is located in a beautiful bay surrounded by impressive green mountains and tropical vegetation giving you the total Greek summer island experience. The bar often organizes parties and events families are welcome too. 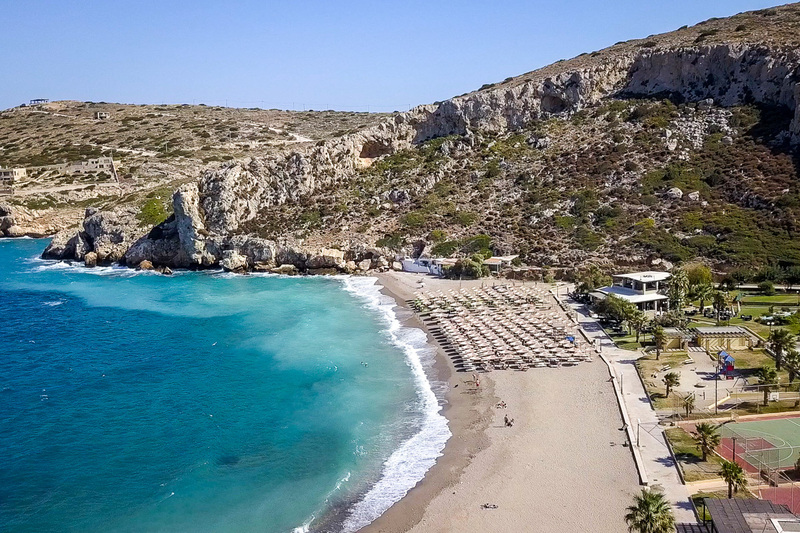 Vraxos Beach Club is great for kids with a large playground and a long golden sandy beach. 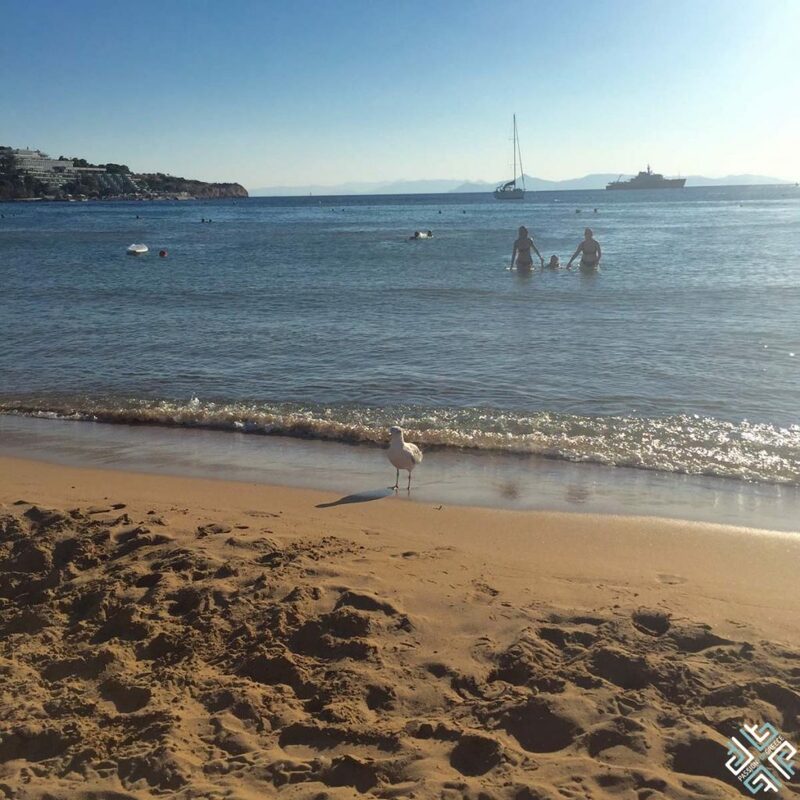 Athens has plenty of wonderful beaches which you can explore during your visit but for your own convenience I recommend that you rent a car in Greece. It will give you much easier access to all the beaches mentioned in this post.